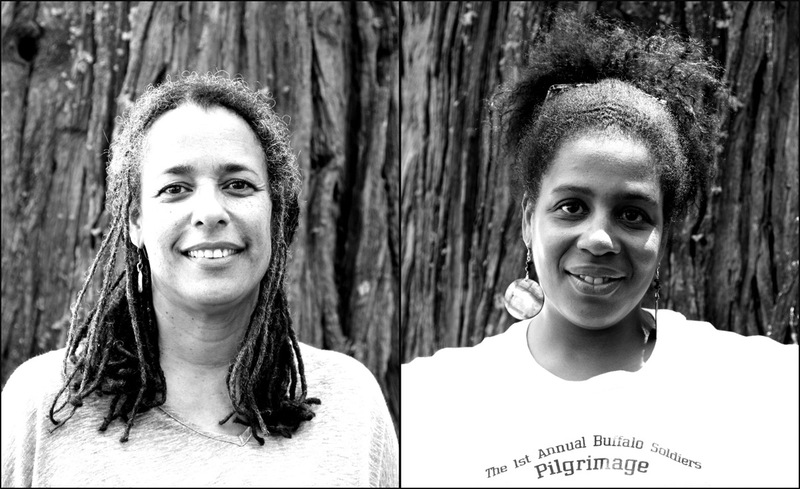 Editor’s Note: We asked Carolyn Finney and Rue Mapp to talk with us because their work is at the very heart of thinking about people and nature in California, in all of its glorious and challenging diversity. It only occurred to us later that their work and this conversation is also an apt illustration of what we’re trying to do with Boom: bring important, innovative thinkers and doers from our great universities into conversation with important, innovative thinkers and doers out in the world. Carolyn Finney is an assistant professor of environmental science, policy, and management at the University of California, Berkeley, and author of the new book Black Faces, White Spaces: Reimagining the Relationship of African Americans to the Great Outdoors (University of North Carolina Press, 2014). 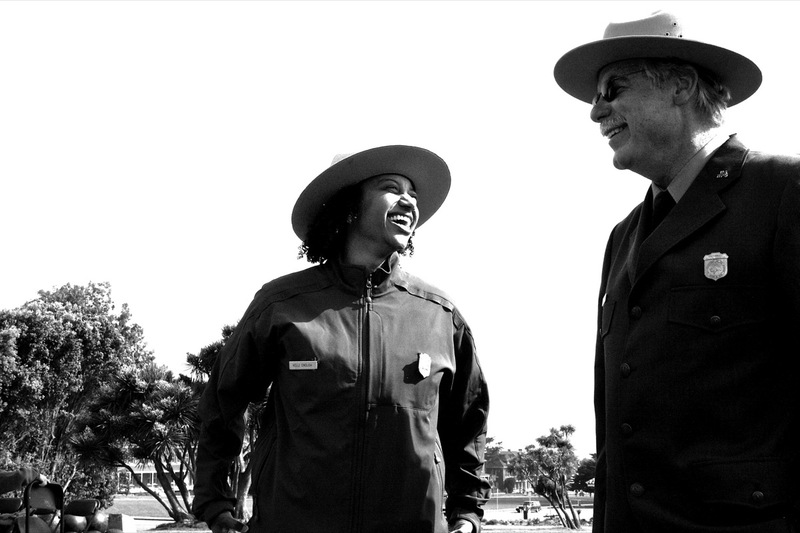 She is a member of the National Parks Advisory Board and is a member of California’s Parks Forward Commission. 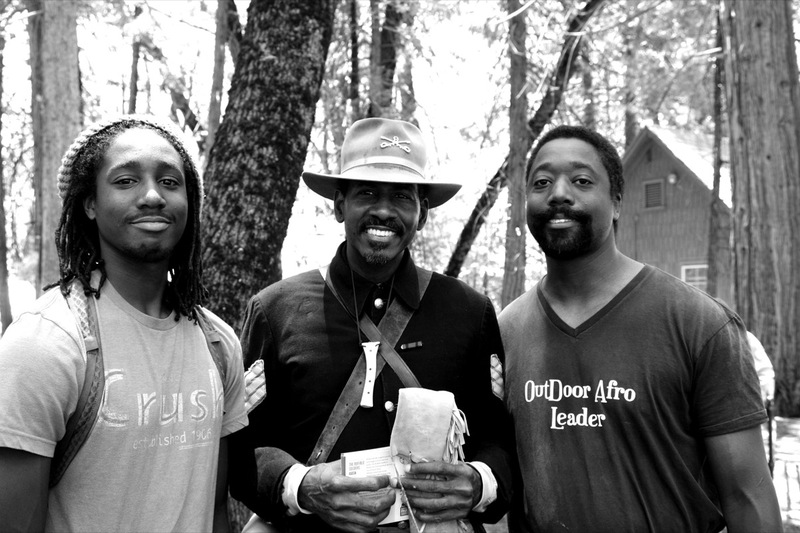 Rue Mapp is the CEO and founder of Outdoor Afro, a social community that reconnects African Americans with natural spaces and one another through recreational activities such as camping, hiking, biking, birding, fishing, gardening, skiing, and more. Outdoor Afro aims to disrupt the false perception that black people do not have a relationship with nature and works to shift the visual representation of who can connect with the outdoors. Finney and Mapp, of course, have been in conversation with each other for many years. They met with Boom editor Jon Christensen at Mapp’s house in Oakland, California. Jon Christensen: I’m curious: what is the first question that you usually get asked about your work? Rue Mapp: Often it’s not a question. It’s a reaction. When I say Outdoor Afro, a lot of times people laugh, and I’m okay with that because Outdoor Afro, the name, is meant to disarm and be fun and accessible, but, at the same time, concise. So we know who we’re talking about, and we know what we’re talking about. Carolyn Finney: Because I’m in academia—and I never call myself an academic, I work in academia—people want to know what information I have. They somehow assume that it’s not personal for me. And for me, this is an entirely personal endeavor. The other thing people say, when I say I’m interested in the issue of difference, of race, they say, “Oh, so you’re doing environmental justice.” Just because I’m talking about black people, they think I’m talking about environmental justice. First of all, that’s a disservice to those who very specifically do environmental justice work. But secondly, just because I’m black and I’m talking about black people doesn’t mean I’m only talking about the “bad” things that happen to us. We actually have great ideas. We’re actually quite creative. We want to contribute. Finney: The assumption is that they’re not engaged! So often the well-intentioned action of saying we’re going to go out and engage this community means that you can’t see what’s already creative and generative within the community. So, for me, it’s about building a relationship, as opposed to saying that with all that good intention we’re going to go get you to come do what we’re doing. Maybe they are doing something really great. Maybe you should try to figure out how you can get involved with that and support that! Mapp: Give me a nickel for every time that I hear someone saying, “I take the children from the community.” It’s always children. Never mind their parents, their grandparents, people who could be contributors. Well meaning people say “I take the kids and we take them to this—insert wild place.” The next line is always, “And they’ve never seen—insert wild thing.” And, “Oh, my goodness, we’ve really done something.” But you really have just made yourself feel good. You’ve taken your picture for your newsletter. But what happens when that child goes back home? Or how is that connection that child makes related to what that child’s generational experience is, or community experience, or day-to-day life is? People are not talking about that. I think that we have this opportunity to be a little bit more bold than the pedestrian way that people have thought about differences, and who we’re talking about within those differences, and recognizing the diversity within the differences, when we’re talking about specific groups of people. Finney: And there are many people who don’t believe they’re separate from nature in the first place! It’s like, “Are you breathing?” You have a relationship with nature, whether you’re conscious of it or not. Even the privileging of a point of view that humans and nature are separate puts groups of people that tend to be either people of color, or indigenous people on the margins, because they have a different way of looking at the world. We miss all the knowledge and experience and the wisdom and the possibility that come from having a different point of view. Because, partially, historically, they had to have a different point of view. They had to negotiate all these rules and laws and policies that were put in place that inhibited their ability to do certain things. So, for example, people have gone on to create their own black beaches in the South because they weren’t allowed to go to the white beaches during Jim Crow segregation. And now they’re celebrating that. We’ve done this throughout history—found ways to create and express our own stories. And we are still doing it, whether it’s community gardens or environmental justice. We’re not always going to wait for someone to invite us into the space. Mapp: When I go out on a hike, I see people who look like me all the time. And I’m like, why is it then that when we have these conversations we’re assuming that people are not engaged? Are people not out here seeing what I’m seeing? I think that people engage with those natural spaces in proportion to their populations and their opportunities. So if you go to Lake Merritt in Oakland, for instance, right now, it will look like the United Nations. But if we drive three hours north, where there really aren’t a lot of black people who live in that local area, surprise, surprise, you’re not going to be bathed in blackness when you go to places like that. I think we can capture what’s already happening and stop making it into a problem when you don’t see more diversity in areas that are remote. If you’re a busy, working family and you may even work on the weekend—there are a lot of assumptions about free time, privilege, access to transportation that often get applied to you. 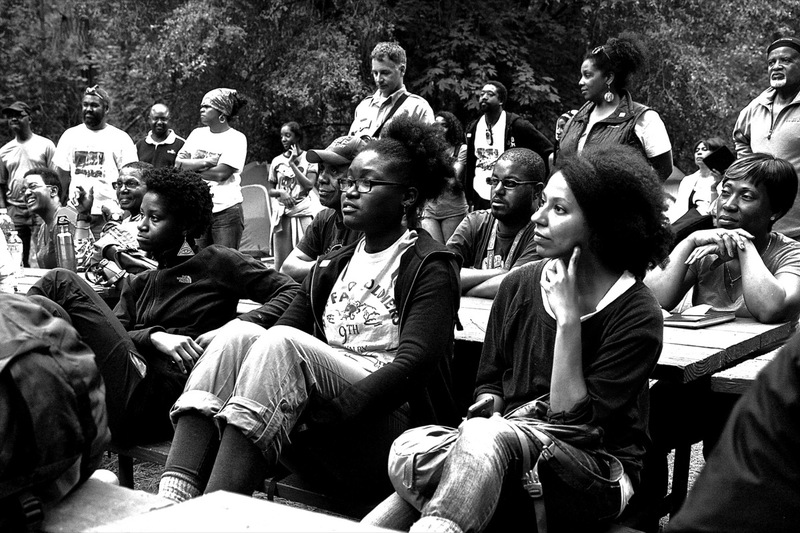 When I ask Outdoor Afros what the number one reason is that they’re not getting out, it isn’t about historical stuff usually. It is: how can I practically fit outdoor experiences into my life? So I just think sometimes this issue gets so weighted down. And we’re not capturing what’s already happening, and not thinking more practically about what people’s lives really are, and how local parks might be able to fit in people’s lives in ways that are relevant and appropriate. Finney: People are doing stuff all the time outside, especially in the city. It makes me crazy, this idea that somehow nature isn’t in the city and that people aren’t in nature in the city. I want to say, really? I see people out in gardens, or playing outside, or doing whatever they’re doing. They’re outside in nature. Not everybody is going to Yosemite. Not everybody should necessarily go to Yosemite. And not everybody wants to go to Yosemite. But all those assumptions are there. So how can we support people where they live? Mapp: And not privilege some types of outdoor activity over other ones! You get people who say, ugh, car camping, no! And, really, for some people, especially for people who now have children or who maybe cannot take the time away to go farther, car camping at your regional park is your gateway experience. I find that, especially in working with the larger outdoor industry and with other stakeholders, that it’s all about how we get people to experience these pristine, remote experiences. For someone to go from East Oakland to the backcountry wilderness, maybe they don’t want to. So we have to be really responsible about how we reintroduce and imagine what’s appropriate for people to experience. I know that you get some real strong guys out there—and they might be real tough in an urban context—but place them out in the middle of nowhere, where there’s no door to lock, and they hear sounds that they’re not accustomed to hearing in the city. That’s a big ask! So it’s been a big part of my job to think compassionately of many different ways that people could engage with the outdoors. We need to ask people what they want, and actually do those things that they want to do, versus me deciding for them what outdoor engagement needs to look like. Christensen: How did you come to create Outdoor Afro? Mapp: I started using social media as a vehicle to tell our story, to help shift the visual representation of who gets outdoors. People responded by sharing with me images of getting outdoors in all kinds of ways, all over the country. And then I was using that platform to tell those stories. These are the stories that are not picked up in the mainstream magazines. So that disrupts the assumption that black people don’t get outdoors. 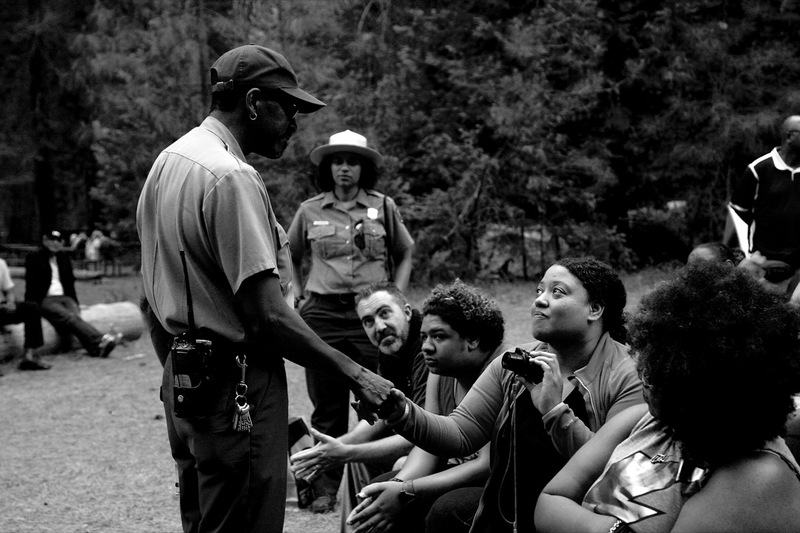 Because oftentimes people lead with the question—”Why don’t black people hike?” or whatever. Black people might not call it “hiking,” but we’re still out in nature, walking, or strolling, or skipping, or whatever. So it’s also disrupting the language of how we talk about it. And it’s also disrupting that usual representation. And what’s happened, unfortunately, is that black people, without seeing our images reflected back these spaces, people buy into it. And then when you see yourself in those spaces, in nature, images that look like you, there is an embedded invitation. It’s not just disruption for its own sake, but also to welcome people in places and spaces, or help remind people of their connection to those places and spaces. Christensen: Carolyn, we know from your research and the research of others that the demographic composition of the National Park Service’s staff does not represent the diversity of America’s population, nor do visitors to parks. The agency is trying to address both of those issues. What are the challenges? Finney: I am not interested in demonizing or vilifying the park service, because the truth is the National Park Service is part of this country, so it only reflects what this country reflects. And it was founded at a very particular time, during segregation, and just coming off slavery. And the Native Americans had their lands taken away from them, and sometimes that land became a national park. Our history is very complicated. Black people weren’t allowed to go to participate in the same way that Euro Americans could. We know that context, that history, is real, and the parks were created within that. 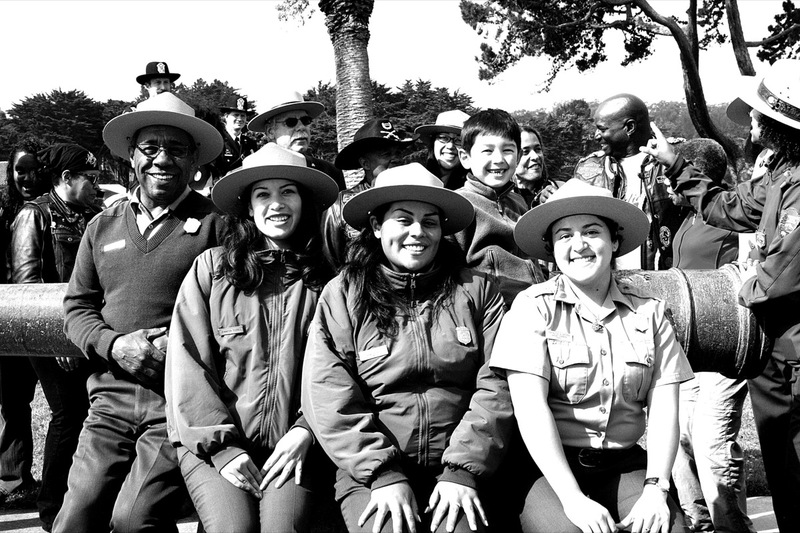 More diverse people are coming into the park service now, but it was still largely white and largely male for a long time. It also has a military background. It’s really important to think about the way it’s structured. It’s also important to remember that it’s a government institution, a federal institution, so it has all the baggage that comes with that, as well. What are the challenges to build the capacity of the organization to actually engage difference? Oh my gosh, they would really have to look at all those layers. It’s not going to happen overnight. I think that one of the biggest challenges the park service is having now— with more than 400 units in the park service—each park is almost its own little entity under this larger umbrella. So part of the challenge is that you may have a superintendent at one park where the issue of difference and diversity is big and important and central, so they are personally motivated to actually engage. And then you have a superintendent in another park who privileges other priorities. And you’re going to have some superintendents that aren’t interested in it at all, and don’t think that diversity should be pursued. And those that do pursue diversity don’t always have the resources they need to do the work. One of the things that I’ve been saying for a long time is if you want to work on diversity but you have to do it in a calendar year, with limited funding, the odds are it’s not going to happen. It’s a long-term investment. It’s a long-term practice. There is no end. So that means, particularly at the front end, you have to really be invested in making those changes. You have to apply your resources to that—your people resources, your money resources, your time resources, the willingness and the ability to actually revisit everything, from pamphlets that you put out for your interpretive exhibits to who you’re hiring to run your intern programs. Everything. It’s huge. The National Park Service is like this big ship, and you have to turn it now. It’s hard to do, and I actually have a lot of empathy for that. The Park Service is an agency that’s made up of people, people with very particular ideas about difference and diversity. They bring those ideas with them. Nobody leaves their stuff at home. They bring their values, their beliefs, their perspectives, their capacities, and their competencies with them wherever they go. So now some people are saying, “Now we have to engage diverse peoples.” But what if they’ve got no skills at doing that or they’ve got no interest in doing that? You’ve got people who aren’t interested and don’t want to do anything, who don’t care, who don’t know how to, who are afraid, who don’t like you if you’re different. So what do you do with that? You can’t brush it under the carpet or just apply a rule that everyone has to engage diversity. How do you weed that out? How do you change that? What does that mean? That’s hard to do. Then you’ve got different communities, and you need to build relationships with those communities. Yes, we can talk very specifically about the national parks, but for me the national parks are about something larger too, not just engaging people with nature. The parks were largely founded on this idea that the United States was trying to create an image of who we were to the rest of the world. We have Yosemite and the Grand Canyon. We don’t have our old cathedrals and old buildings like they do in Europe. We have a landscape and natural resources that are simply tremendous. So those in the position to do so created a narrative out of this about who we are. Christensen: There is this idea that we’re nature’s nation. That’s part of the message of the national parks. But is the question whose nation, whose nature? Christensen: So you’ve been involved in trying to change that. How’s it going? Finney: One of the things that most of us were saying to the National Park Service was: “Let’s do this thing!” The park service decided to have these community conversations and wanted to see if we could have six or seven. We were all gung-ho. We had our first conversation in Cuyahoga National Park a couple of years ago, and it was wildly successful. It was great. It was so successful that they had to stop having the conversations for a while, because they didn’t have the capacity to actually hold the fruits of it. All these friend groups in the community were like, “Okay, we’re ready to do it!” It was great. And then the park staff was overloaded. They had full-time jobs already. Mapp: And this goes to the issue that comes up time and time again: what do you do with the information? Do you even have the capacity to not only hold the information, but to act on that information? Finney: Now we’re rethinking it. We are going to pull back from the community conversations and really look at what conversations have to happen within the park service. So it feels like it’s stalled out. But, actually, this is where they have to do a lot of the work. I’m an adviser. I’m not part of the park service. And I’m not going to tell anybody what to do. I don’t have the know-how or the right to do that. I’m here, along with others, to work with them and support them. But they have to work that stuff out. Christensen: You’re also on the Parks Forward Commission here in California, which is working on reforming state parks. How is that going? And are the challenges different from the national parks or similar? Finney: Remember, we’re all in the same country, with the same challenges, as far as I’m concerned. At a macro level, the challenge with the California State Parks is not so different from the National Park Service. They’re trying to engage these ideas, but you can’t do it if you don’t get your house straight. That’s the thing. That is so clear. Christensen: Rue, what’s your experience with this kind of work? Mapp: I really value working outside of systems, outside of the bureaucratic formats, because I’m an entrepreneur. And my instinct as an entrepreneur is to be amenable, to test assumptions constantly. Scale if it’s working, and dump it if it’s not. I just find that nonprofit structures and governmental structures can’t easily lend themselves to that kind of flexibility. And I feel like right now there’s such urgency. We talked a little bit about environmental justice. But the climate disruption that we’re living with right now is real and we’ve got to get people on track and get engaged with what’s happening. Like right now. Not tomorrow. But it won’t come any sooner than when there is an authentic and relevant relationship with our environment, so that people really can understand the complexities and how we’re all connected in this big conversation. Outdoor Afro started as a blog, a place to share my personal experiences. And then that conversation quickly became a national one. Because of the platform that social media provided, it really leveled the playing field of communication, where from my home, I could touch exactly who I wanted to touch. It wasn’t, back then, pay to play. The algorithms are completely different now. And you’ve got to really have a commitment to invest financially to reach the kind of audience I was reaching back then for free. So it was a real golden time to have that particular conversation, and also reach the scale that we did. People then started sharing their own stories and photos with me. And I was pushing those stories and those images out. But people wanted to go to that next step. They wanted to actually go out in nature with people who looked like them. And many already had relationships with nature, through family, like maybe fishing and gardening. Maybe they lived in the city and wanted to reconnect. So people asked me to find a way to get that connection back. And using social media, we invited people to be leaders in the outdoors, and brought together the first group of leaders. They came from a wide variety of professional backgrounds—some were attorneys, some were accountants, and fathers. You name it. But they all had a fire in their belly to share nature with other people, in ways that they were already doing. So it wasn’t that I was telling them how to do it. They were already in the practice and just wanted to do it with other people. We now have fifteen leaders around the country. And they’re getting thousands of people out, right in their own backyards. What I think this group represents is not only diversity of people, but of regions, because we’ve got people from Atlanta, to the Pacific Northwest, and Los Angeles. And there are different natural assets in each of those places, and a different vernacular. So having leadership that represents and can speak authentically to what’s happening in the backyard of those particular urban hubs has been of tremendous benefit. I think oftentimes when we’re talking about black and brown people, we tend to just kind of lump us all together, and not really recognize that the African American experience in Chicago is very different than it is in southern Mississippi. So having people from those regions who are able to lead in a very authentic way has opened the door wider for more people to participate. We do collaborate with the parks and with other regional and national organizations. 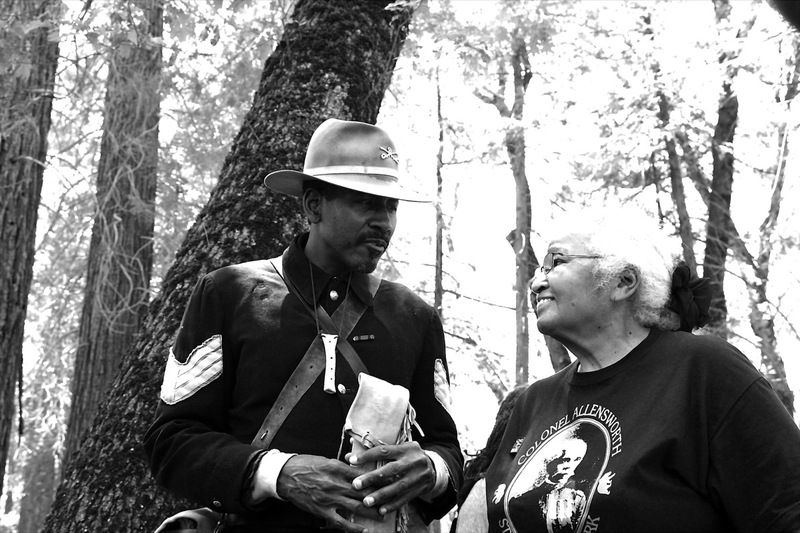 We tap into those resources to visit, to join us, and enhance the interpretive experience. And really it’s true partnerships. So we’re not seeing these agencies and organizations as the experts. We actually recognize that it’s so important that people, when they’re getting outdoors, and they look like Carolyn and I, that they don’t just see participants that are in that space, but they also see leadership in that space. Often people will come to me and say, “We would love to lead your group on a trip” as if we don’t have the expertise, which is untrue. We’ve got the expertise and the knowledge to lead. And we enhance that knowledge by bringing the national parks and other partner organizations together to have a conversation and annual training about what it looks like to lead. We’re able to empower people who don’t necessarily identify themselves as traditional environmental educators and are not a part of a professional organization. They are leaders, knowledgeable experts in their own communities. So that’s what we celebrate and inspire. We consider the National Park Service and other agencies true partners, but not necessarily our leaders. Christensen: I’m just curious. You talk about different vernaculars. Is there a difference in your work between Northern and Southern California? Mapp: San Francisco is where we got started, and there are different natural assets here. Our redwoods and the experiences that people have in places like Muir Woods are different experiences than the weekend beach party that might be happening in Southern California. I also find that the motivations for people to get out into nature are different between Northern and Southern California. For instance, in the south, people are much more interested in the intersection between nature and health and healthy living. So the messaging is just a little bit different. I’m not saying that people in the north don’t care about their physical wellbeing. But I think that there’s a lot more interest in that conversation in Southern California than here. And there are some differences that are just subtle, but the person who represents LA for Outdoor Afro, she was born and raised in Los Angeles. She knows the community. She knows the organizations. She knows how to message and interact in a way that inspires people to get outside. Christensen: The environmental justice movement is now around thirty years old. So we have been talking about some of these things in a really concerted way for a long time. The conversation seems to evolving in some really interesting ways. But, on the other hand, we’ve been talking about this, really, for thirty years or more. Has anything really changed? Finney: The environmental movement and the environmental conversation are not divorced from what goes on in this country. We are still having the same conversations about race that we’ve been having for as long as I’ve been alive. So when I look at the environmental movement, I don’t expect to see something totally different. I do see some shift when I think about institutions and organizations—government institutions, academic institutions, nonprofits, and other organizations—that have been controlling and shaping that conversation, because we, people of color, are showing up in those spaces. We weren’t in many of those spaces a few years ago. Mapp: I just think there’s a demographic shift that is going to force change. What the environmental movement has to get is that this is also a market-driven conversation. This is not just about how it feels. This is about the fact that environmental nonprofits are not going to have the members they have right now, forty years from now. Outdoor retailers are not going to have the consumers that they have today, forty years from now. How are they cultivating not only the members, but the leadership that might reflect that new and different demographic? You can certainly brownwash your environmental messaging, but if your executives, leadership, the C-suite, and board don’t reflect the populations that you say that you prioritize in your organization, then I think it’s inauthentic at a minimum. We know the demographic shift that’s happening in this country means we’ll be an even more brown country. If environmental organizations do not respond to that change, they have a risk of becoming obsolete. And I think that there is some change in the conversations happening that is driven by that sense of panic. Unfortunately, I don’t think that that’s the right motivation. Mapp: This work is really about love for the people, love for the environment, love for place. It should not be because we want to save our own jobs and organizations to stay in the game, or be credited for solutions. You don’t have to have a brand, organization, or personality visible in the middle of change for it to happen. There are many things already underway. People are already creating their own destinies and pathways to engage with nature. Making those visible and supporting those existing pathways, I think, is really what’s needed here versus yet another initiative by an agency or a big nonprofit organization. For me it’s still unclear how some of the larger organizations are going to adapt to the current needs of the movement in the timeframe in which it needs to happen. I mean, if we’re just going for transactions, such as getting a certain number of people into our parks, maybe you can achieve that. But what we’re really looking for is a culture shift that makes visible and valid ways that people are connecting with parks that are not about the parks for their own sake but for everyone’s sustainability. I think a lot about smoking and how people used to smoke cigarettes everywhere—in banks, in bars, on buses. And to get to the place where people were not doing that took about twenty years. So what we’re talking about, I think, ultimately, is not something that’s going to happen within a year, but something that is a part of a whole culture shift, and on a longer time continuum, similar to what civil rights represented. I think forty years from now we’ll probably put the end date on the civil rights movement much further out than we imagine it now. We’re still in the middle of it. And I think this environmental question is still in its infancy.